Mrs. Hankinson's Class: Monday Madness! Only three more Mondays! What are you doing to celebrate the end of the school year? Next week we start end-of-the-year testing, so I want to be sure to break things up with activities for my first graders. Have you ever wondered how to use the puzzles that are at the craft store? Well, I did! I bought a package (using my 40 percent off coupon, of course!) and wrote sight words on them. 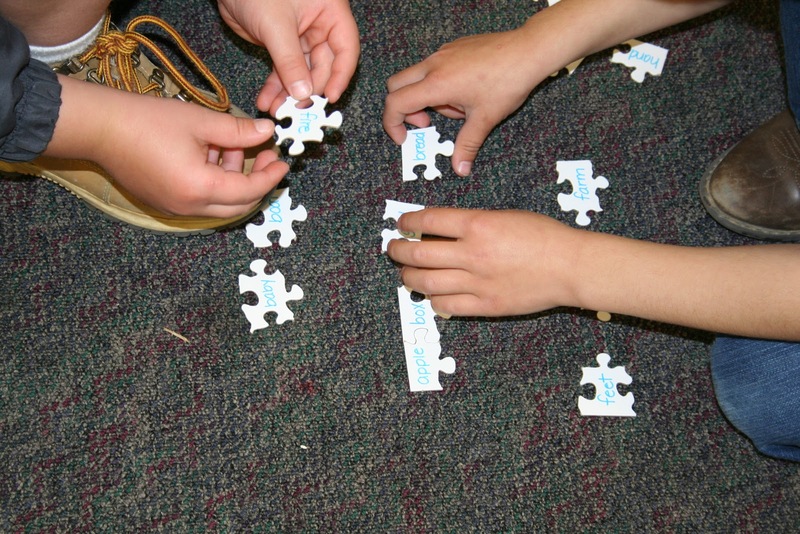 After the children put the puzzle together, they see how quickly they can read the words. It was so fun to see them racing their partner to see who could read them the fastest!